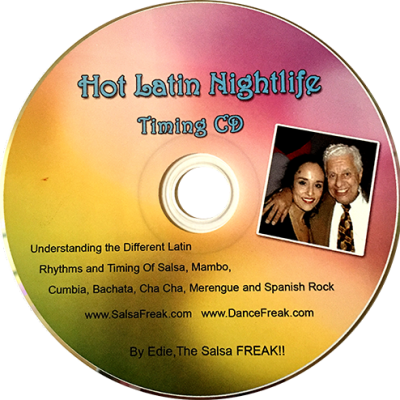 In this DVD, Al and Edie demonstrate stylized body movements during partnering. A list of twenty different moves are demonstrated and intricately explained. Al combines his twenty years of body waves and Pop Locking “Hits” with Salsa to form what is known today as Salsa. Al’s comedy throughout the DVD leaves the audience laughing while learning. Although very lead able, some moves require knee pads and are recommended for dedicated partners.